The Great Place to Work Institute conducts the world’s largest and most respected set of studies on workplace excellence. 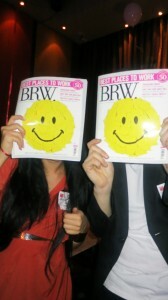 Last Thursday, E-Web Marketing along with representatives from 50 finalists for the Best Places to Work Australia Awards, came together for the unveiling of BRW’s annual Best Places to Work list at The Establishment bar in Sydney. This year’s Best Places to Work List featured more larger multinational companies. Technology based companies accounted for seven of the top 10 with Melbourne-based IT consultancy OBS topping the list, Netapp and Google for numbers 2 and 3 respectively. E-Web Marketing has ranked within the top 10 Best Places to Work in Australia for three years running, coming in 4th place this year – the top spot for an online marketing company. What makes E-Web Marketing such a great place to work? Web’s HSF Ambassador, Jeff Yang, mentioned on Channel 10’s Breakfast Show, we also believe that having passion and purpose will lead to profit. E-Web’s success goes beyond having a passionate Gen-Y oriented company in a quirky office; it comes from being a company which genuinely invests in the happiness of its employees and the development of their professional as well as personal growth. This has been the very foundation of the camaraderie, fairness and trust that is shared between the E-Web family. E-web’s flattened company structure means that all doors are always open for free flowing communication, information-sharing and support. We also have coaches and mentors instead of managers to empower each individual to exceed in their personal goals, instead of only focusing on company KPIs. When you first step into our office you’ll undoubtedly notice the brightly coloured walls, nerf guns, unicycle, plush toys, scooter, tiki hut and our office gong. During lunch the E-Web family spends time in the Recreation Room where we have our foosball, ping pong and pool tables, and 3 gaming consoles. When in need of a power nap, visit our sleep alcove to grab some Zs on the massage chair or bunk beds. This workplace environment nurtures E-Web’s creative spark and encourages colleagues to not be afraid to express themselves as well as have a bit of fun at work. To get a tour around our office, register for our Information Day here. At E-Web, no efforts go unnoticed and we make sure to celebrate all wins. Every Friday morning a Family Meeting is held where we are able to share with each other company news, upcoming events, current performance figures, and photos and adventure stories from those who have recently been on holiday. The meeting finishes with a “Stars and Props” segment in which anyone can give a gold star or a prop for effort to anyone else who has embodied our company vision and core values that week. In the middle of our office is the celebration gong – the sound of this gong being hit is a cue for everyone to make some noise to recognise the success of the individual or team that has just triumphed their goal. You also haven’t been to a party until you’ve been to an E-Web party! 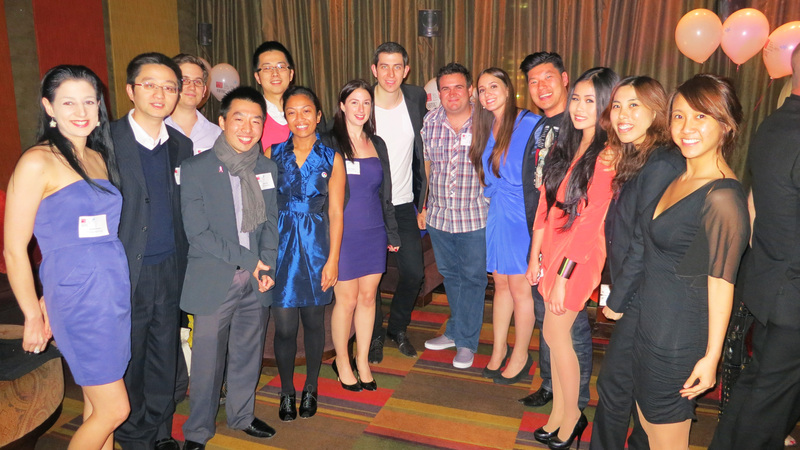 We host parties for both the company and our clients to celebrate company successes and exciting new changes. Our dress-up parties for Halloween and “just because” let everyone have a good time. Having work/life happiness is key to holistic fulfilment. On top of offering flexible leave and the option of working from home, all members of the family are encouraged to keep a healthy lifestyle. Spinal health checks, flu vaccinations and lymphasising mini-trampolines are available to all. Besides, working with friends instead of colleagues is fun! When you work with your friends, you will find a sudden uplift in atmosphere and energy and your work day will fly by. These are just some of the reasons why E-Web Marketing is such a great place to work and with much buzz coming from the office we are very pleased to be this year’s 4th Best Place to Work in Australia. E-Web would like to congratulate the winners, all those that were nominated and all who are dedicated towards spreading workplace happiness. For the full list of Best Places to Work in Australia, click here. Congratulations and cheers for that great achievement.